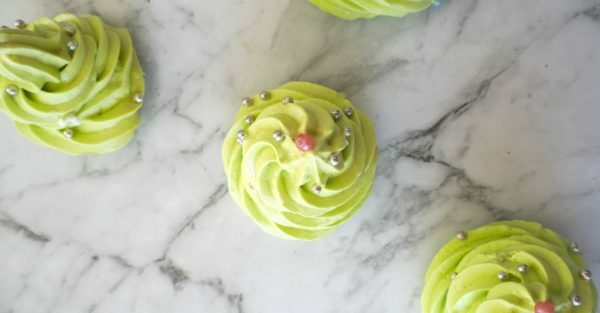 Don’t be fooled by how impressive these Christmas tree meringues look, they are actually REALLY simple to make! 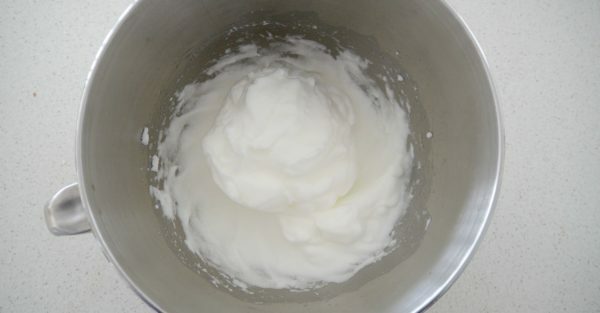 The trick is to ensure your egg whites are at room temperature before you whip them, and also make sure your mixing bowl is VERY clean as any residue or egg yolk will stop your egg whites from turning out nice and fluffy. Step 1. Preheat your oven to 120°C and line two trays with baking paper. Step 2. 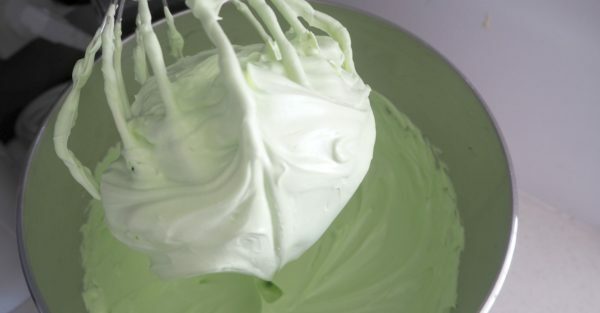 Place the egg whites into the CLEAN bowl of an electric mixer (this is very important!) and mix on a high speed for approximately 3 minutes or until soft white peaks form. Step 3. Reduce the speed to medium and gradually add the caster sugar one spoonful at a time until it has all been added and has dissolved. You can test this by rubbing a little of the mixture between your fingers, it will feel smooth once the sugar has dissolved. Step 4. Add a few drops of the green food gel and mix until the desired colour is achieved. Step 5. Transfer the mixture to a large piping bag which has been fitted with a star nozzle and pipe your ‘Christmas trees’ onto the lined trays. Step 6. Decorate with silver cachous or other items and then bake for 1 hour and 30 minutes, before leaving in the oven with the door slightly ajar to completely cool. 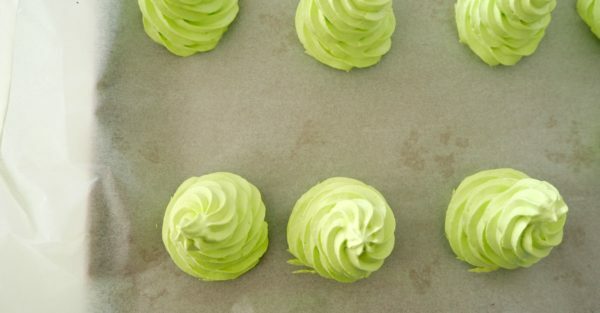 You can then store these Christmas tree meringues in an airtight container for 2 – 3 days.